ANDREA A. LEWIS has dedicated her career to seeking justice on behalf of those who have been wronged. She represents clients harmed by careless drivers, defective products, harmful prescription drugs, and negligent health care providers. Mrs. Lewis is an experienced trial attorney with a track record of success. She was recently named one of The Best Lawyers in America in the field of personal injury. She has prevailed in numerous jury trials involving medical malpractice, products liability, business disputes, and car accidents. Recently, Andrea was part of a trial team that was awarded more than $8.5 million in damages for a woman who was forced to undergo an above-the-knee amputation due to the negligence of her physician and concierge medical care plan. Before joining Searcy Denney, Mrs. Lewis was a prosecutor with the Palm Beach County State Attorney’s Office, where she fought to protect our local citizens who had been the victims of serious crimes. She conducted over 75 jury trials, prosecuting murderers, rapists, sexual predators, armed robbers, and gang members, including many high profile matters. In 2013, one of her cases made national headlines after she prosecuted-and successfully convicted-a woman who masterminded a multi-million dollar extortion plot. 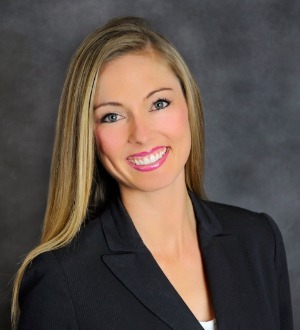 Mrs. Lewis was previously named the Young Lawyer of the Year by the Palm Beach County Bar Association. She has also been recognized by The National Trial Lawyers as Top 40 under 40 – an honor extended solely to the most qualified plaintiffs’ attorneys from each state who demonstrate superior qualifications. Mrs. Lewis is on the Palm Beach County Bar Association Board of Directors and she is the President of the Young Lawyers Section in Palm Beach County. She is a frequent speaker at local Bar Association events and recently served as a panelist at the county’s annual Bench Bar Conference. In addition to her work with legal organizations, Mrs. Lewis is on the Executive Board of the Junior League of the Palm Beaches, where she serves as the Vice-President of Fundraising. She enjoys dedicating her time out of the office to helping the victims of human trafficking. Mrs. Lewis received two undergraduate degrees from Florida State University-Finance and Real Estate-and graduated with honors. She went on to attend the Florida State University College of Law and received her Juris Doctorate. While in law school, Mrs. Lewis was a member of Florida State’s prestigious Mock Trial team.